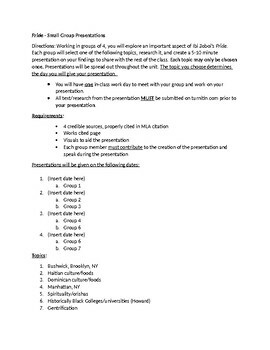 Guidelines, rubric, and self evaluation questions included! Students will work in small groups and research a topic of their choosing is discussed in the novel (Ex: different NYC neighborhoods, gentrification, cultures, etc.). 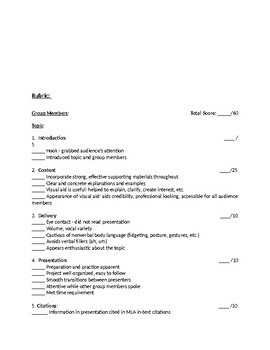 They will work on their collaboration and presentation skills through this activity. 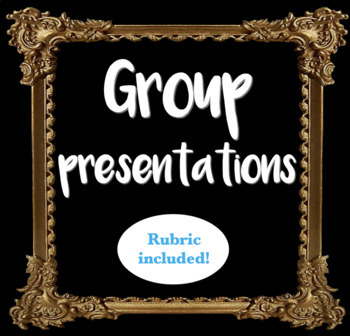 The presentation topics also coordinate with small in-class activities I have in my shop!